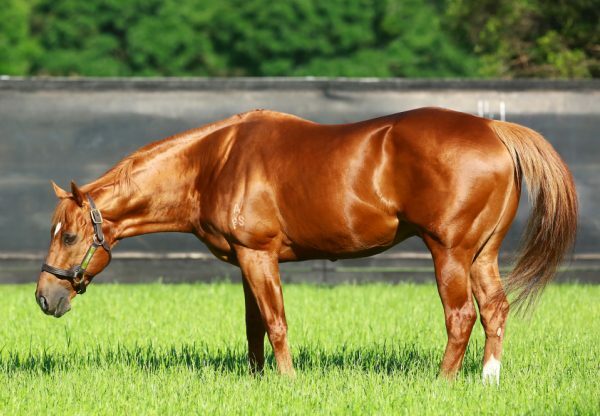 Former champion racehorse Dylan Thomas was in hot form on Wednesday with a two state metropolitan winning double at Mornington and Wyong courtesy of highly promising three year-olds Agon (3f Dylan Thomas x Stravinsky's Image, by Stravinsky) and Zahee (3c Dylan Thomas x Zaheeya, by Encosta de Lago) . The Chris Waller trained filly Agon was the first to salute, enjoying a perfect run from barrier two to settle just off the leader before accelerating in the straight to score a tenacious win over another well bred filly in Shawano. The winning margin was a short head with three lengths back to the third horse. “They drew away from the rest which is always a good sign,” said Chris Waller. “Our filly dug deep and was holding the other filly on the line.” Agon runs in the familiar cerise colours of the Ingham family and was an $80,000 Magic Millions purchase from the Coolmore draft. Now a winner of two of her four starts to date, Agon is the first foal of Stravinsky’s Image (USA), an imported daughter of Stravinsky, who raced successfully in Australia wining metropolitan races in Melbourne and Brisbane. Stravinsky’s Image has been a regular visitor to Coolmore sires and has a two year-old colt by Choisir, a yearling colt by Dylan Thomas and will foal to Lookin at Lucky (USA) this spring. Dylan Thomas chimed in with his second winner of the day in Melbourne when the Mick Price trained colt Zahee posted his third win from five starts. Zahee coasted home to win the 1500 metre Ratings 68 event by two lengths and is entered for the Group I MRC Caulfield Guineas next month. A homebred for Sheikh Mohammad Bin Khalifa Al Maktoum, Zahee is the first winner for Encosta de Lago mare Zaheeya, an unraced daughter of Group II placed Lady Lexus from the family of Golden Slipper winner Luskin Star. Dylan Thomas has sired three stakes-winners in Europe this year where his oldest progeny are now three year-olds, so we can expect his stock to start making an impression in Australia as they benefit from maturity. 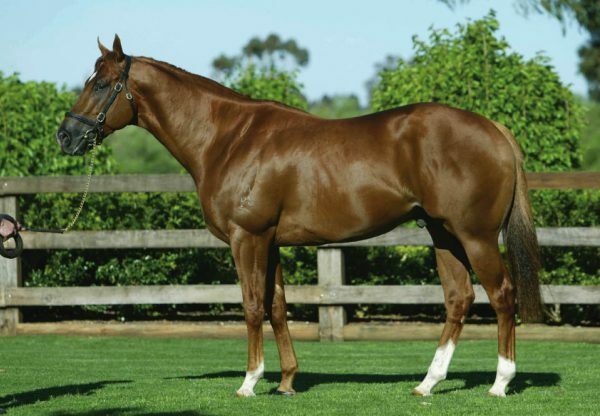 A six-time Group I winning son of Danehill, Dylan Thomas stands at Coolmore at a modest fee of $13,750.